Bangkok, Thailand May 3, 2011 - Voice of America, a member of the US-funded Broadcasting Board of Governors of which current Secretary of State Hillary Clinton sits as a board member, has recently decried the Thai government's crackdown on local community radio stations. The 13 community radio stations that were shut down were "aligned with the opposition Red Shirt movement." Globalist foundation-funded Human Rights Watch says the raids are part of a campaign to silence government critics ahead of national elections. 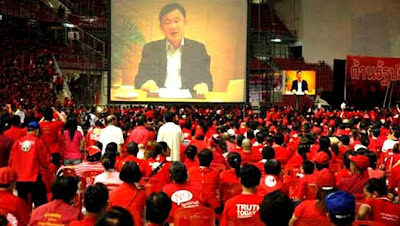 However, Brad Adams, executive director of Human Rights Watch Asia in Bangkok, in an interview with VOA would concede, "the Red Shirts are in large part supporters of Thaksin, and Thaksin actually is a financier and architect of the Red Shirt movement. And they generally are sympathetic to Thaksin and carry his messages and carry those of the UDD [United Front for Democracy against Dictatorship] leadership, the Red Shirt leadership, as well." 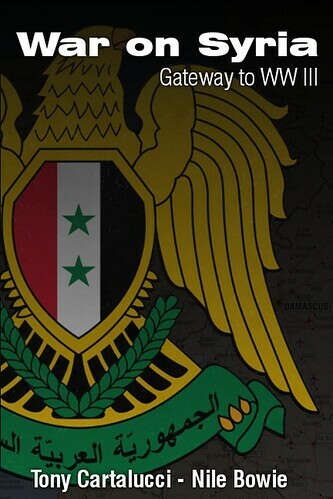 from the exiled fugitive now residing in Dubai. Thaksin Shinwatra in turn is a former adviser to the Carlyle Group, and was literally standing in front of the CFR in NYC on the eve of his ousting from power in 2006 via a bloodless military coup. Since 2006, he has been represented by fellow Carlyle man James Baker and his Baker Botts law firm, International Crisis Group's Kenneth Adelman and his Edelman Public Relations firm (also a corporate sponsor of the "color revolution college" Movements.org), Belfer Center adviser Robert Blackwill of Barbour Griffith & Rogers, and now Robert Amsterdam of Amsterdam & Peroff, a major corporate member of the globalist Chatham House. To say that Shinawatra represents foreign-funded and aided sedition, especially after revelations that the "Arab Spring" has turned out to be as much, is an understatement. Globalist lawyer Robert Amsterdam's addition to the formula is especially troubling, as he is concurrently representing Russia's Mikhail Khodorkovsky, the corrupt billionaire who attempted to hand Russia over into receivership to the West's banking oligarchies after the fall of the Soviet Union. Thaksin Shinwatra is Khodorkovsky's analogous counterpart. 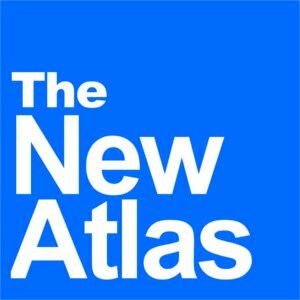 We are witnessing the spread of the "Arab Spring's" foreign-funded sedition creep toward Russia's front door in Belarus, and across China's "String of Pearls" from Pakistan, to Myanmar and into Thailand. The same template, same organizations, same pattern, and the very same propaganda is being recycled with only the names and places changing. In some instances, the protesters' props are literally recycled. The effects of the upheaval in the Middle East will disrupt China's oil supply, and upheaval throughout Central, South, and Southeast Asia will disrupt their logistics and their attempt to expand their influence and presence throughout the region. It also endangers the very sovereignty of the nations being targeted for destabilization. Voice of America, in tandem with Human Rights Watch and other self-proclaimed international arbiters have played a vital role in laying the groundwork for regime change in Tunisia and Egypt, as well as the military intervention in Libya and the current besieging of Syria through foreign-funded subversion. Thailand has weathered two attempts in 2009 and 2010 by Thaksin Shinawatra's "red shirts" to overthrow the government and institute a socialist welfare state that will undoubtedly funnel Thailand's resources into the hands of the corporate-financiers that have consistently backed Shinawatra since his fall in 2006.